It’s time to go Glamping! Not camping – “glamping” – the stylish way to camp, with luxurious surroundings and fabulous food. But still out in the wilderness, of course. 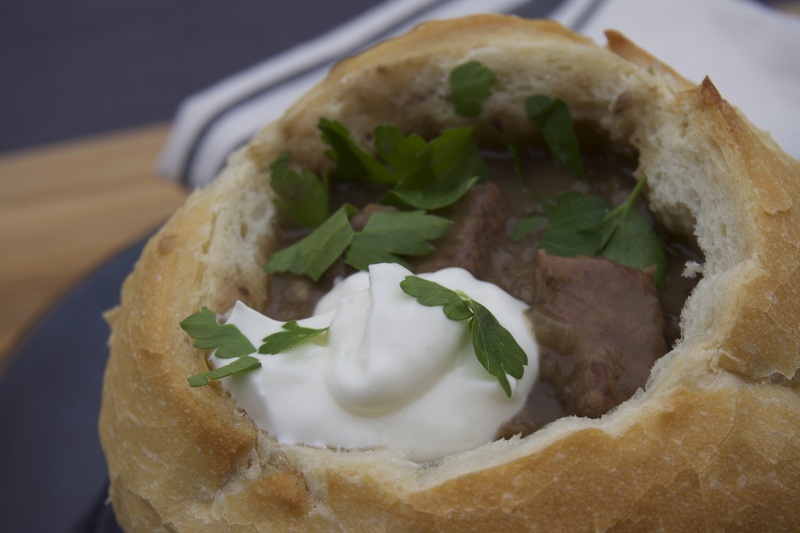 So with girlfriends Nikki Erwin and Jessica Szohr, Haylie prepares a delectable Brie with Thyme and Maple Syrup, Creamy Short Ribs and Wild Mushroom Stew. 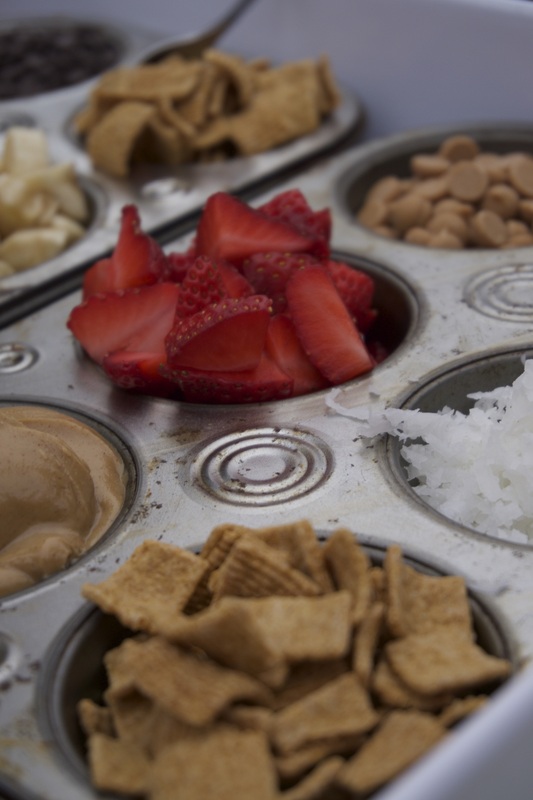 As the sun sets behind the hills, the girls enjoy fire–melted S’mores Cones loaded with all of their favorite toppings. On a large piece of heavy duty foil, slightly grease the center with butter. Place wheel of brie on top of greased foil. With the knife poke holes on the top of the brie. Pour maple syrup over brie. Top with thyme. Wrap remaining foil around brie, sealing it at the top. Place the foil pack near the edge of your fire, not over a direct flame. Warm the brie for 5 to 7 minutes. 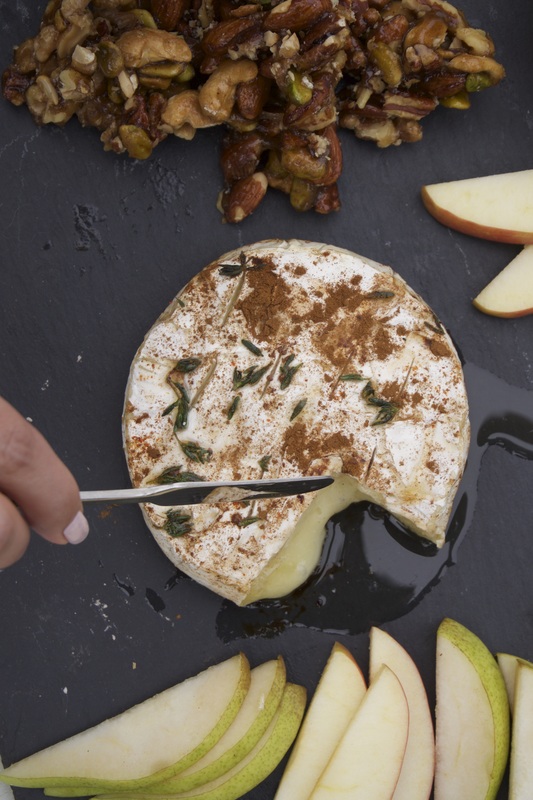 Turn your pack with tongs to ensure all parts of your brie receive heat. Carefully remove the foil pack to a plate and open with caution. Peel back the foil. Serve with bread, crackers, sliced apple or pears. Alternate heating: Preheat an oven to 350 degrees. Place foil brie on a sheet pan. Heat for 7 to 10 minutes OR Place in a preheated 400 degree oven for 10 to 15 minutes. Preheat oven to 325 degrees. 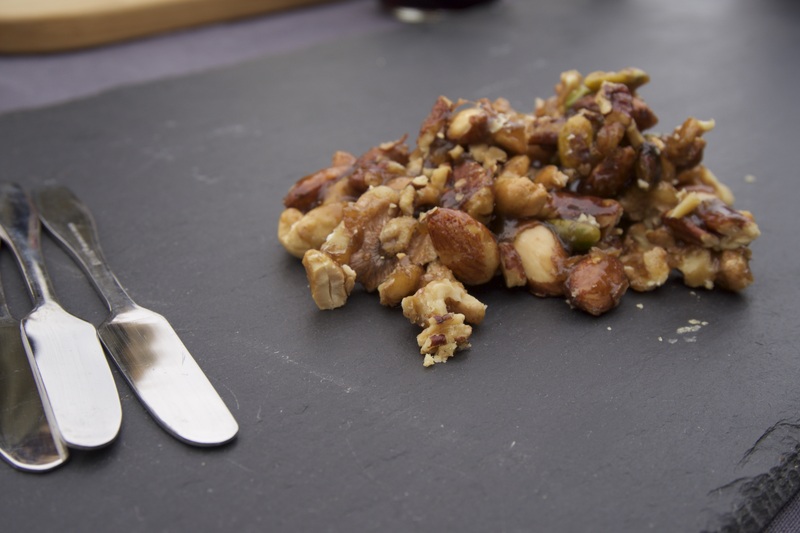 Place all nuts on a parchment lined sheet tray. Toast until golden about 10 to 15 minutes. Mean while, in a small bowl mix brown sugar, salt and cayenne. Set aside. In a small saucepan add the honey, corn syrup, oil, 4 tablespoon of water. Bring to a boil and stir in toasted nuts. Coat all nuts evenly with mixture. Stir in sugar mixture. Spread nuts evenly on a parchment lined baking sheet. Let cool. 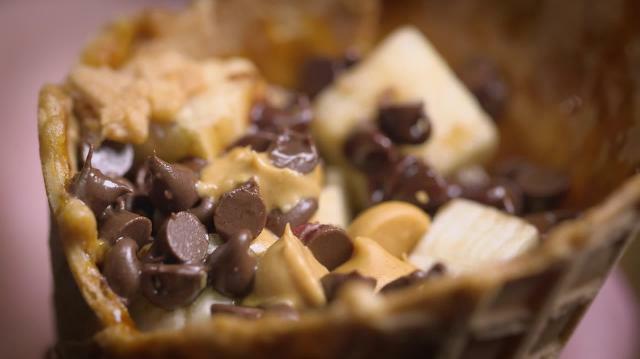 Once cooled, break off into pieces. Store in an airtight container. For dried wild mushrooms, rinse in cold water to watch of any debris and dirt. Chop mushrooms in small pieces. Set aside. In a small bowl add salt, pepper, flour, and onion powder, mix well. Sprinkle over short ribs and toss to coat. On medium-high, add olive oil to a large dutch oven. Sear the meat on all sides, about 5 minutes per side until a crust forms on the beef. Remove to a plate. Add shallots and sauté until slightly translucent. Add dried and cremini mushrooms and sauté for another 4-6 minutes. Deglaze pan with wine and reduce until half. Pour in beef stock, barley, rosemary and beef. Bring to a boil. Cover and bring to a simmer. Cook for 2 hours.Check occasionally.If the liquid level does not cover the beef, add more stock. In a small bowl, mix sour cream, yogurt, horseradish and pepper. Insert knife in top of bread loaf. Cut in a circular motion along top. Remove top of loaf. With your hand or a spoon, remove inside of bread. Reserve for dipping. Slowly ladle hot stew into bread bowls. Add a dollop of horseradish cream. Garnish with parsley. Serve on plate with reserve bread pieces on side.